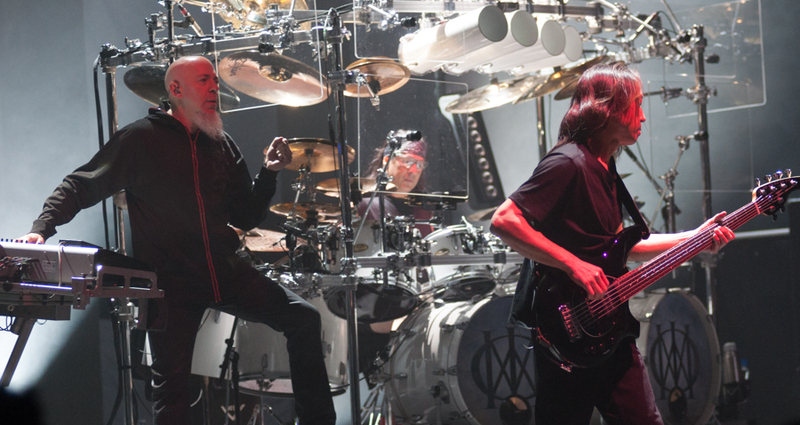 3,000 plus prog rock fans attended the Dream Theater concert held on Sunday night at the Sony Centre for the Performing arts. The fans were treated to over two and half hours of songs spanning from their early years to current material. The band took a 20 minute intermission after the first set, Act I before coming out for the second set which featured the entire “Images and Word” album celebrating its 25th anniversary! The crowd showed their appreciation standing, cheering, yelling for more. More is what they received, Dream Theater played the entire 7 part, over 24 minute long song, “A Change Of Seasons” as their encore. Dream Theater has some seriously talented musicians that work well together and tonight’s show was no exception, the band was spot on for the entire show. It was a sort of home coming for front man and singer James LaBrie who lives in Midland, Ontario. James was on top of his game last night, nailing the vocals and having the crowd involved all night clapping and singing. James was fist pumping those up front, including one really young fan who settled for a pat on the head instead. 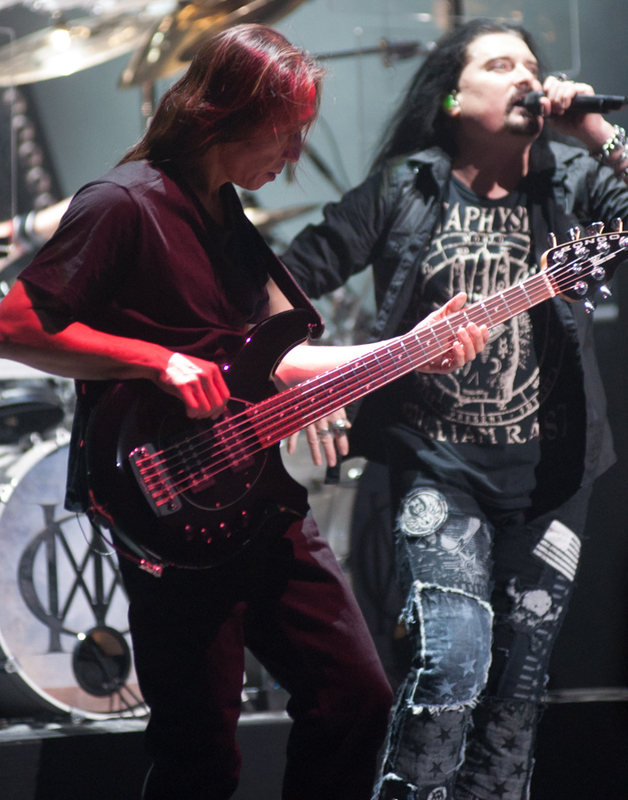 John Myung on bass is up and down the neck with a fury hammering out notes at an alarming rate. 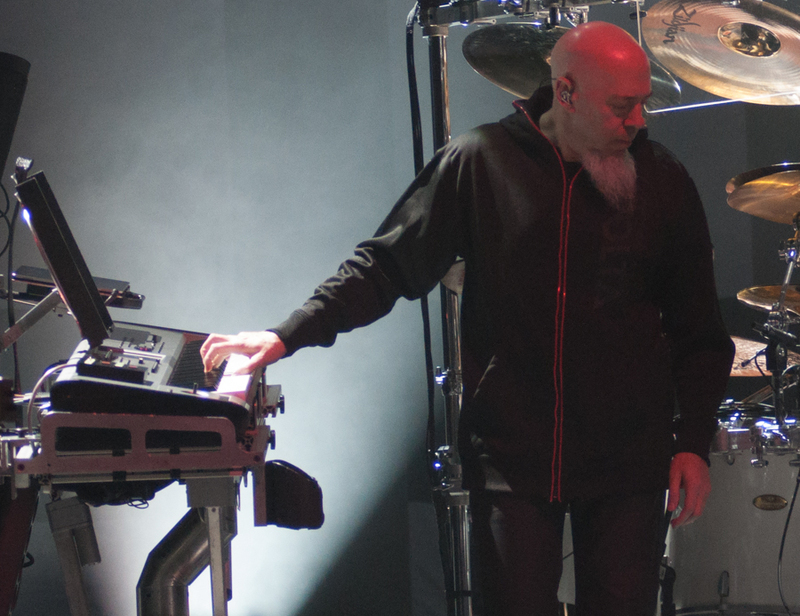 I love Jordan Rudess’s setup. A monster keyboard player he really fills in the Dream Theater sound and takes centre stage when required. He had a interesting portable keyboard instrument that I unfortunately could not get a good picture of as the enthusiastic crowd were standing and cheering him on. Being a drummer I could watch Mike Mangini all night. His fluidity of playing though his entire kit including the cymbals and drums supported well over his head is impressive. 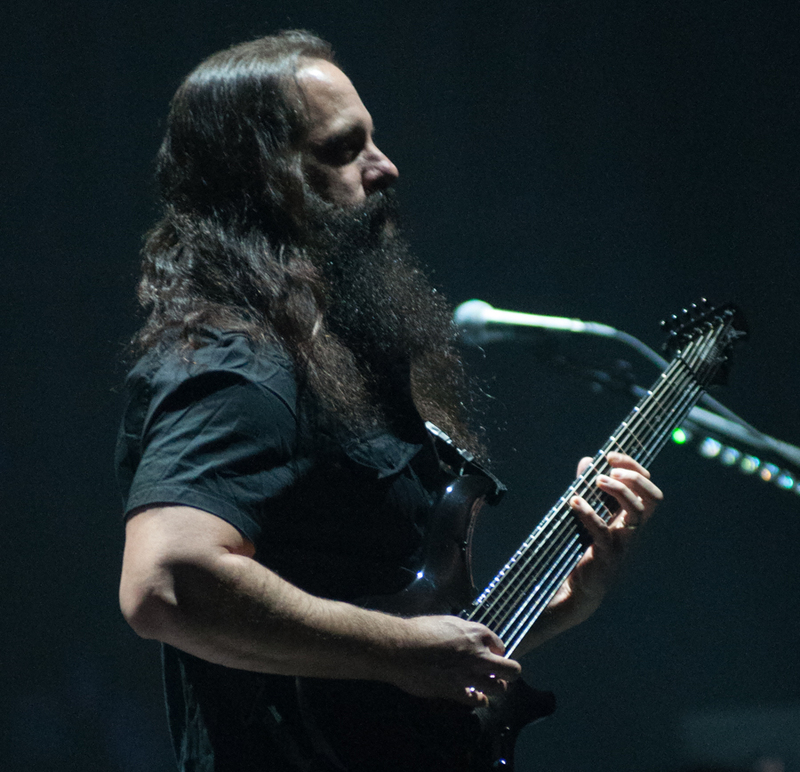 There are very rare simple 4/4 patterns in Dream Theater. Offbeat, syncopation is the order of the day, all at a fast pace. 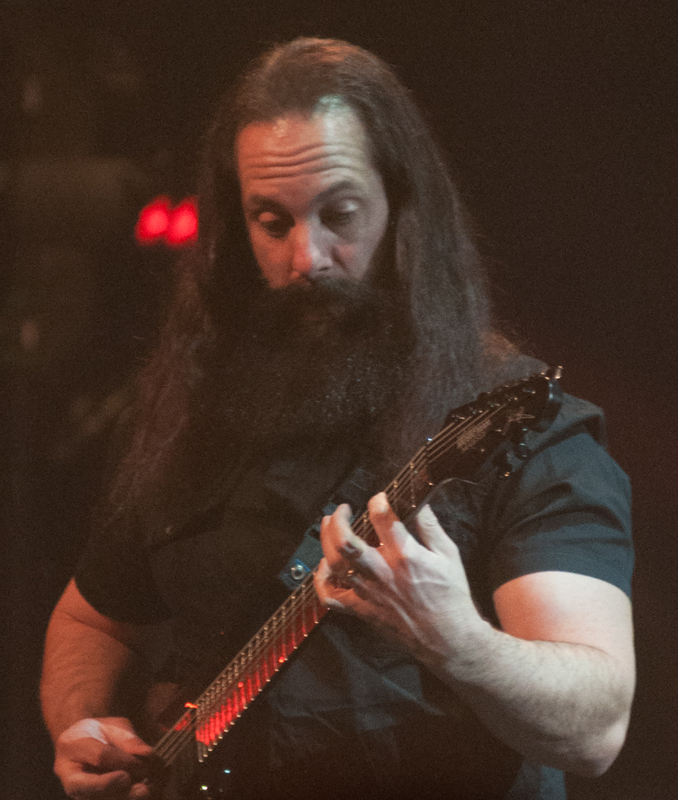 John Petrucci… I could leave it at this! This man is a guitar virtuoso; I don’t think I could ever get tired of watching him play. He received well deserved applause and a standing ovation after each amazing solo. The overall production of the show seemed to be toned down a lot from the last show, Astonishing in 2016. The lighting was simple and there were no videos. A friend of mine, William was also at the show and in the lighting business. He hooked up with the lighting crew and found out that they wanted to keep it simple, similar to how it would have been 25 years ago. This reviewer walked away totally satisfied. We knew that Dream Theater would be playing their Images and Words album in its entirety but I was hoping for a great selection of songs from their other work. I was not disappointed. They played songs from their early years to more current albums. Wearing my photo hat I would have liked to see a bit more lighting, I captured a lot more and better pictures from the astonishing show. Wearing my reviewer hat I wouldn’t change a thing! Dream Theater provided their fans with an amazing show, musicianship, song selection, time they played, interaction with the audience, all top notch! Listening to the crowd as they left and outside the venue, I did not hear anything negative, everyone was talking about how great a show it was. I have to give Dream Theater 9 maple leafs out of 10. 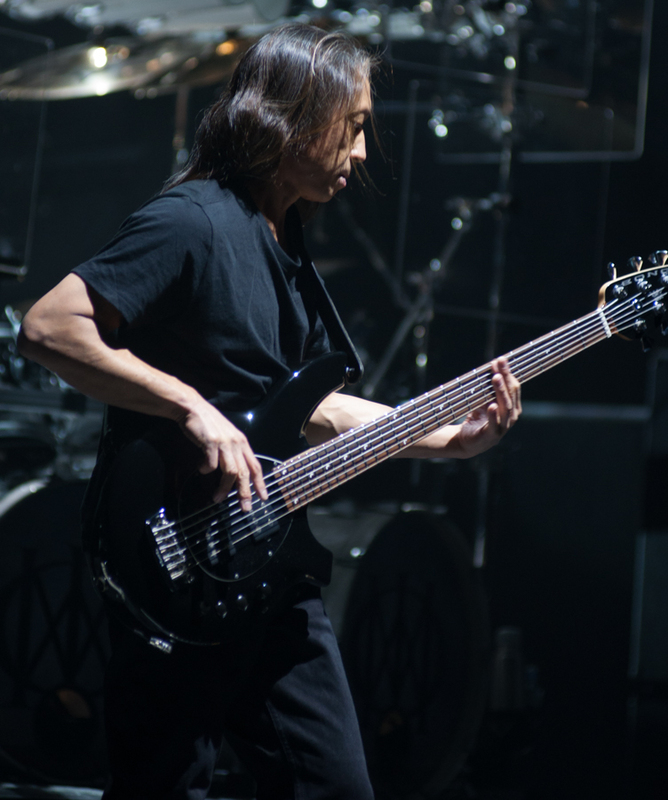 John Myung paid tribute to Jaco Pastorius ripping out a great rendition of a “Portrait Of Tracy”. The crowd showed their appreciation with a standing and loud ovation. 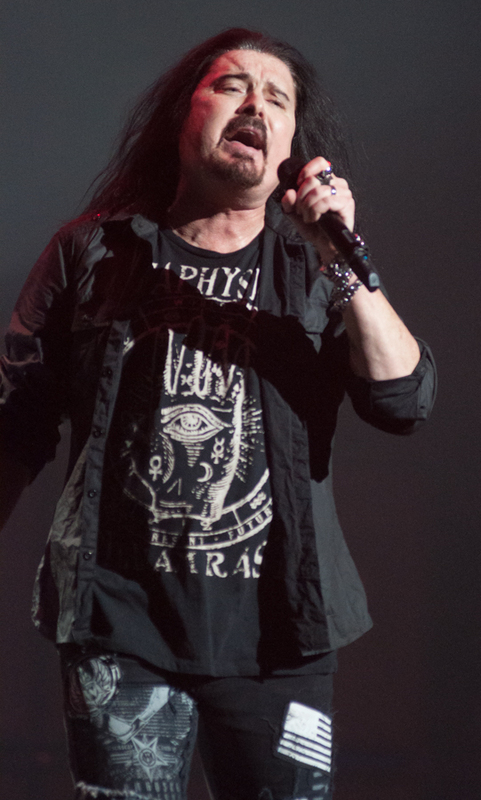 James LaBrie regaled the audience with memories of the original tour in support of Images and Words recalling some of the small audiences they played for. In one bar in New Orleans they were greeted by the owner, I still want you guys to play tonight, wondering what was up, they found out there were only 5 people that showed up! In a classic you never know who is in the audience it turned out 4 of the 5 people were from Bad Company! One of the Bad Company members pointed out, if they were paid by the note they would be millionaires! "Highlights for me were “the bigger picture” and “breaking all illusions” in the first set. Of course hearing all of Images and Words was a special treat. I saw DT twice in 1993 on the I&W tour so it was great hearing the entire album live. It’s such a remarkable album!"